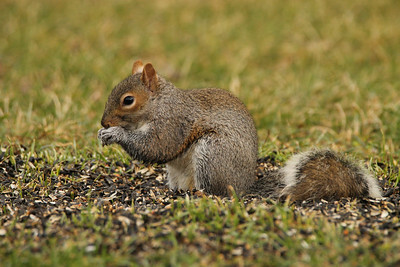 The eastern grey squirrel or eastern tree squirrel is perhaps the most common backyard and urban visitor in southwest Ohio. 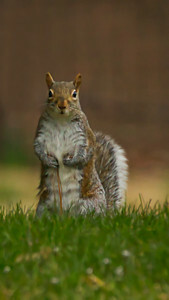 Like most wildlife, they are opportunistic and will climb feeder poles only to eat up most of the seed. Hanging suet baskets from trees have been knocked down by them simply to they could eat from them. 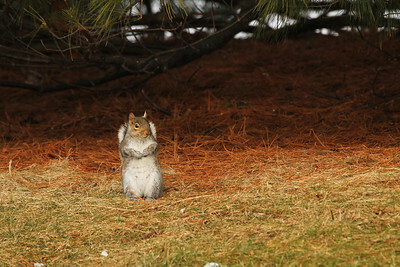 Considered pests and a nuisance, they reside in Southwest Ohio all four seasons. Despite this, they are entertaining to watch and see. Beavercreek, Ohio © 2017 Ryan L. Taylor Photography. All Rights Reserved. 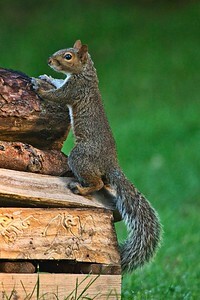 Beavercreek, Ohio The most common backyard mammal in my Ohio backyard, Eastern Grey Squirrels are opportunistic and quite clever in a lot of ways. © 2018 Ryan L. Taylor Photography. All Rights Reserved. 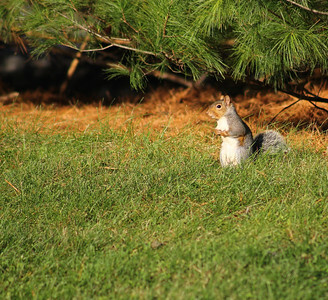 Beavercreek, Ohio "Nature never contradicts itself; only ideas do.” - Marty Rubin The most common mammal in an Ohio backyard, Eastern Grey Squirrels will eat anything they can get their hands on including fallen seed from the bird feeders if they can't climb to them. I have to admit that they are very crafty and opportunistic. 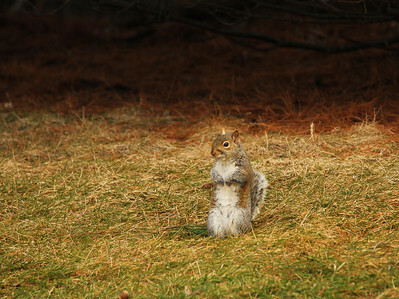 The world for animals can be unforgiving, so foraging for any kind of food can be a matter of life and death. I have seen them attempt to eat from bird suet cages screwed into trees before! Nothing seems to stop them. If you are interested in feeding your backyard wildlife, I would suggest putting out dried corn on the cob for tree squirrels. You can purchase a large bag of pre-dried corn or take fresh pieces and dry them for 8 hours or so in the oven. Either way works, and this will (mostly) help divert their attention away from any birdseed around. Just be sure to really stock up on the corn, as each cob will be stripped dry of every kernel by the end of the day. © 2018 Ryan L. Taylor Photography. All Rights Reserved. Beavercreek, Ohio "The vast and beautiful world is the home we share together.” - Bryant McGill These critters are everywhere, so much that they become roadkill fairly often. 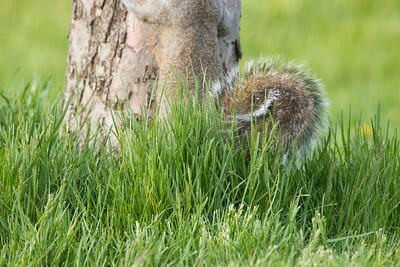 Despite being delegated to a backyard pest and birdseed robber by many, they are still animals. 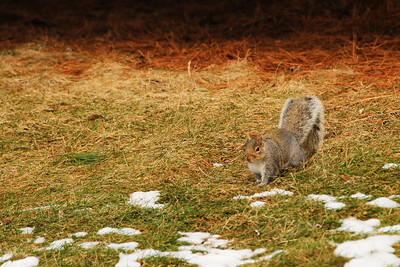 Just take note of the fur patterns here, they have adapted to blend in with tree trunks such as in this image. I am particularly fond of the vertically-driven composition. 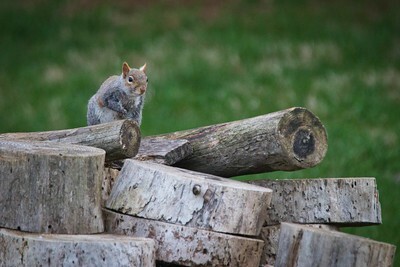 Even as the sunlight gently illuminates the right side of the squirrel. 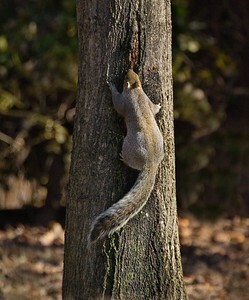 Their tail acts as a rudder when making long jumps across tree branches. I have seen these tiny acrobatic climbers atop the tallest sycamores or oaks. The area surrounding my neighborhood is located above a stone quarry. Try digging underground and you will reach solid rock within several inches. 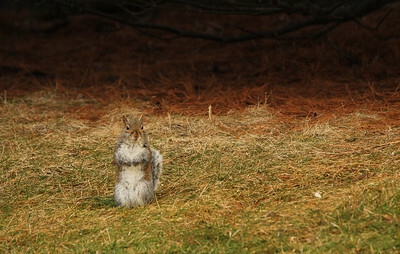 It makes me wonder how they bury their nuts and seeds during the winter.. © 2017 Ryan L. Taylor Photography. All Rights Reserved. Beavercreek, Ohio © 2019 Ryan L. Taylor Photography. All Rights Reserved. © 2017 Ryan L. Taylor Photography. All Rights Reserved.